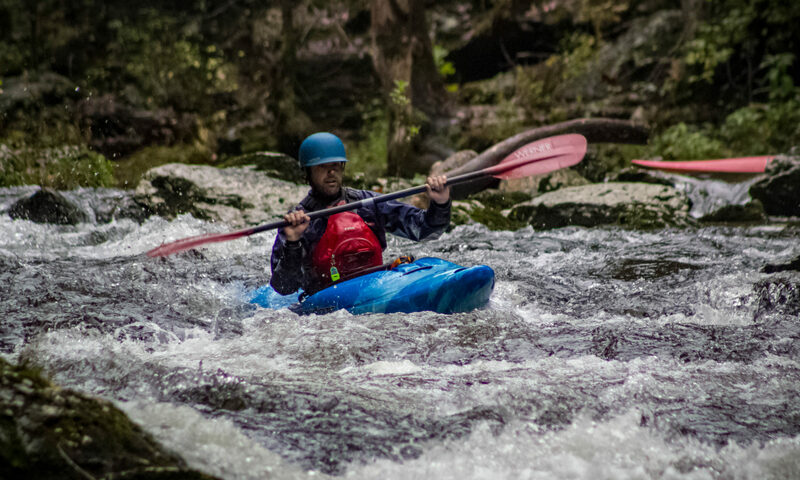 The East Tennessee Whitewater Club holds a roll practice almost every Friday of the year. It is a great place to catch up on your skills and plan trips. Next to the Summer Clinic, roll practice is the best place to learn to kayak. There are usually experienced people there to help you learn to forward stroke, back stroke, brace, roll, and everything in between. Winter roll practice is held most Friday nights from 8:30 PM to 9:45 PM at the Oak Ridge Civic Center indoor pool from early January to late April. Attendees should meet at the back door and wash their boats off with the hose. The cost is $5 per boat for adults, or $3 per boat for 18 and under. Roll practice runs every week unless otherwise noted (see exact dates below). Please note there is construction at the civic center on the south side of the parking lot with a construction fence restricting our access to the pool. We have a couple of options. We can park in the parking lot east of the library and carry boats/gear on the path behind the civic center to the pool. Or, we can dump our boats and gear over the construction fence onto the grass either side of the dumpster by the pool building, then go through the building to come out in the back and pick them up. Summer roll practice is typically held every Friday night as soon as people get off of work (typically around 5:30 PM starting in June) at the Clark Center Park. There is usually no cost to come, and it typically ends around 7:30 PM. It is a great place to plan a trip or just get ready for the weekend paddling. If the venue is moved somewhere else (aka a river) it will be posted on the forum, but this rarely happens. To get to Clark Center Park, which is also known as Carbide Park, from Oak Ridge, go to the intersection of Illinois Avenue and Scarboro Road and go south on Scarboro past the Y-12 Plant and over Chestnut Ridge. Go straight through the traffic light on Bethel Valley Road on Pumphouse road, and turn right at the gate and drive several miles to the park. Drive past the park headquarters and park on the right in the small lot. The place where we practice is directly across the lake from the boat ramp. When the swimming area is open, we park in the picnic area near our roll practice spot.